The Imagination Library presents a collection of books beginning with the children’s classic The Little Engine That Could. Each month a new, carefully selected, age appropriate book will be mailedin your child’s name directly to your home or PO Box. Best of all it is a FREE GIFT! There is no cost or obligation to your family. 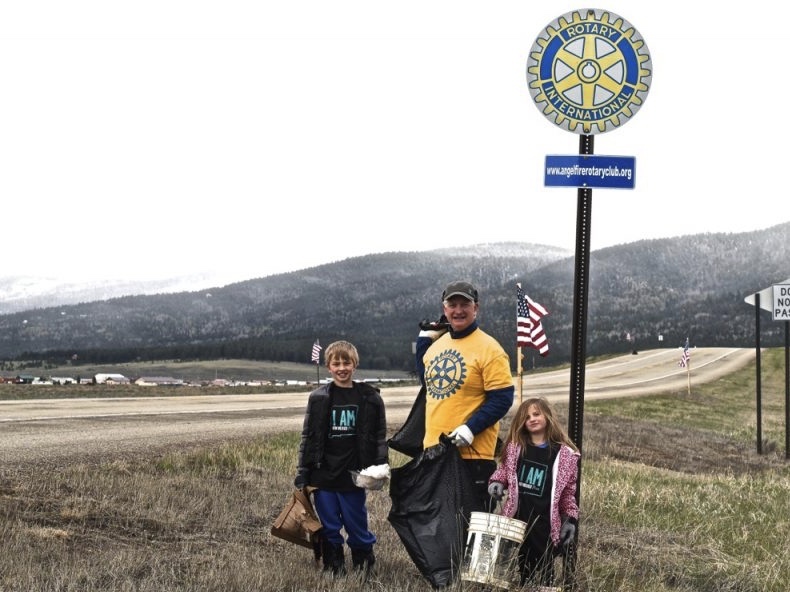 The Rotary Club of Angel Fire is supporting this program for children ages one to five in the Cimarron School District including children in Cimarron, Eagle Nest and Angel Fire. A registered child will receive a free book each month. Please click on the link above for more information or contact Kevin Mutz at 575-377-2326 or kevin.kmutz@inbank.com. If you want to mail in the registration form send it to Kevin Mutz, The Rotary Club of Angel Fire, PO Box 1436, Angel Fire, NM 87710, not to Silver City. 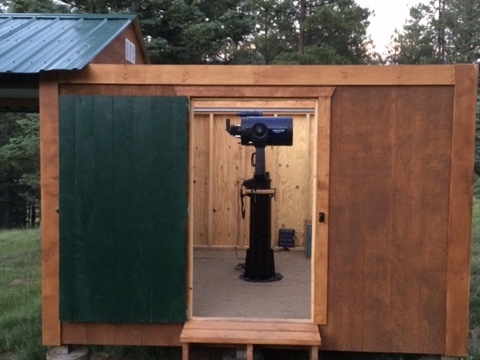 The MVHS (Moreno Valley High School) Secret Pantry is a food pantry designed for the students and faculty of Moreno Valley High School in Angel Fire, New Mexico. 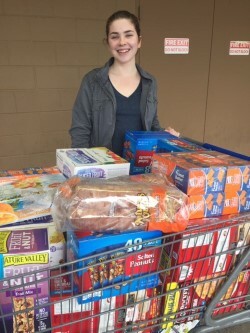 The Interact group at MVHS decided that the school was lacking a sufficient food program after they noticed students coming to school hungry and having few options to feed themselves during the day. One student was even observed falling asleep while taking one of the state mandated tests after having no breakfast that day and no dinner the night before. Due to a lack of nutrition, many students were unable to focus in class and saw their academic performance suffer. 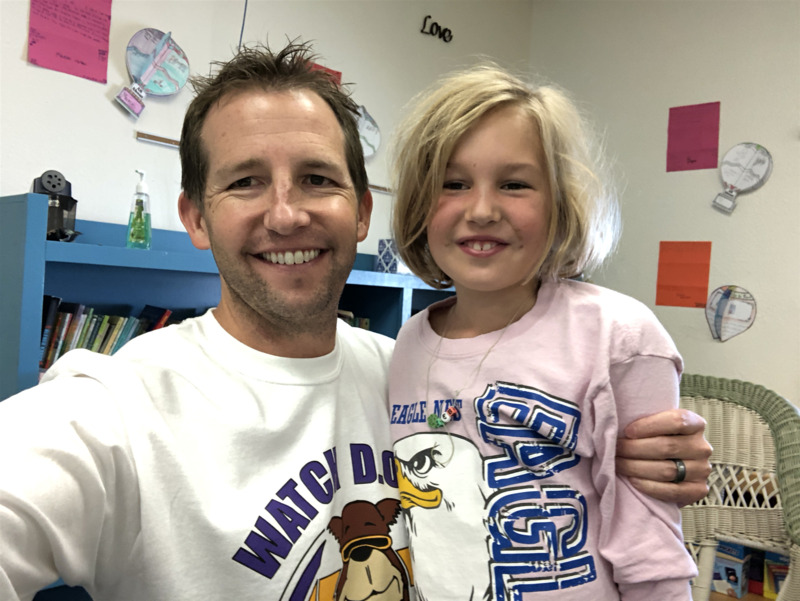 Eagle Nest School "Watch Dogs"
The Angel Club of Rotary supports the Watch Dog Program at Eagle Nest School both in service and financial support. Recently the Club awarded $250 to the program. Research shows that kids with involved fathers and father-figures are happier, healthier, and less apt to get into trouble. The Watch D.O.G.S. program which stands for "Dads of Great Students” is a national program that allows fathers and father-figures to volunteer to come to school for a day. Dads will get to spend some time with our little ones, help out at recess, and make their kids' day. For more information contact Matt Mitchell at mattdmitchell@gmail.com. 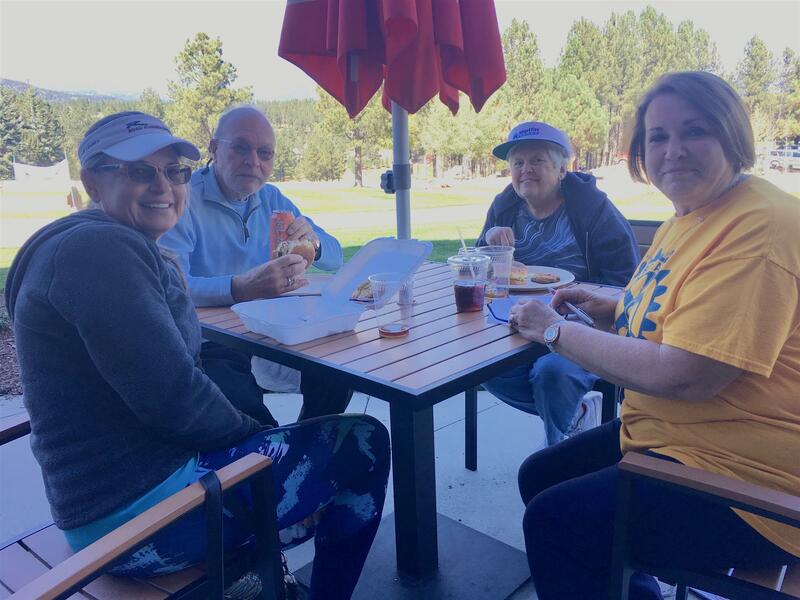 On September 22 the Rotary Club of Angel Fire held its Annual Rotary Golf Tournament at the Angel Fire Resort Country Club. This fund raiser event supports scholarships for seniors in the Cimarron School District. Special thanks to Trini Bradly for leading this effort and our sponsors. More on this and the tournament sponsors later. HEART of Taos offers a new co-living opportunity at HEART House specifically designed for single women experiencing or facing imminent involuntary homelessness and who need a transitional place to live for up to 6 months. Residents of HEART House will experience safe, stable, private, and supportive housing in a community setting while re-establishing income and housing. As children and pets are also residents of HEART House, a fun, safe place was needed for the children to play. 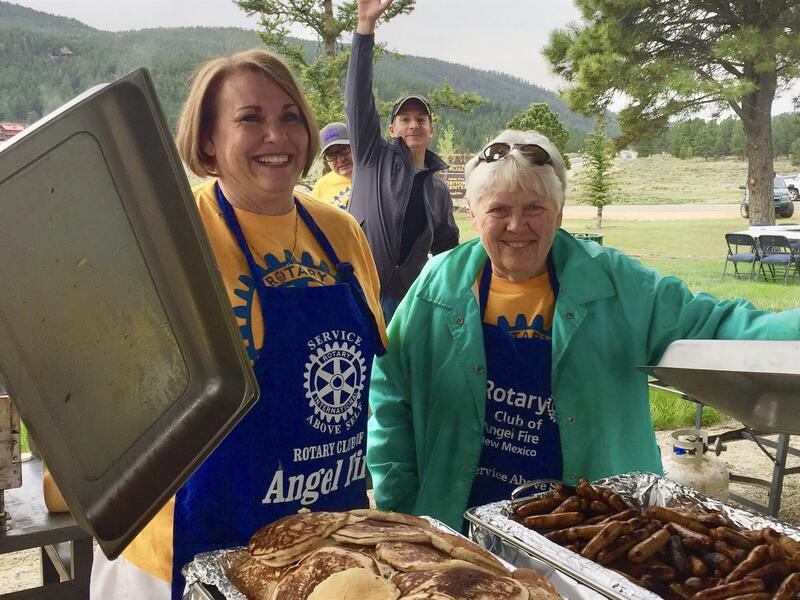 The Rotary Club of Angel Fire teamed up with the United Church of Angel Fire to fund and build a playground for HEART House. Despite poor instructions and old muscles, more than a dozen Rotary and Church volunteers managed to build the playground in two days. The playground was completed on July 20, 2018. Thanks to all who participated in this wonderful project of "Devine Love in Action" and "Service Above Self".